We specialize in judgment enforcement, recovery, execution. We have an experienced team of judgment recovery specialists working to help you from start to finish to enforce your judgment. "If we can't find 'em, Saint Peter's got 'em." Judgments holders, individual or business in New Jersey, Florida, California, Delaware, Georgia, Maryland, New York, Pennsylvania or Nationwide with a monetary judgment; or if you own judgment;in another state but your debtor lives in New Jersey, Florida, California, Delaware, Georgia, Maryland, New York or anyplace in the United States we are here to enforce your judgment! ...is the satisfaction of your judgment! We accomplish this goal by relentless effort in the enforcement of your judgment. We use the latest industry resources, credit reports & skip trace tools to help us to succeed in recovering your money. In our experience... Our enthusiasm and dedication to recover judicial judgments, we have heard that "harassment" is not allowed from judgment debtors all too often. 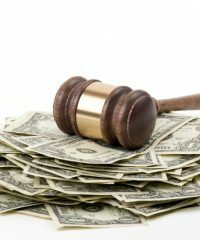 Our Judgment Enforcement Agency will pursue the enforcement of civil judgments via an Assignment of Judgment in accordance with and by virtue of State and Federal Law; our specialists adhere strictly to the Fair Debt Collection Practices Act (FDCPA) and are guided by the highest ethics standards.